Part 2 of our Crafty Lake City DIY Festival preview happens in this episode of Soundwaves, with interviews from participating crafters Salt City Lamp Works and Velo City Bags. Craft Lake City, an annual DIY Festival in Salt Lake, has been the largest craft festival in Utah since its inception in 2009 and attracted over 40,000 attendees during the two-day event in 2014. Salt City Lamp Works is an independent lamp building business in Salt Lake . The creators take parts to create a working lamp and put them inside creative objects, such as old cigar boxes, to make unique home décor that’s affordable and cozy. SLUG writer Davis Pope sat down with co-founder and owner Josh Marans about his lamps and being a part of this year’s festival. 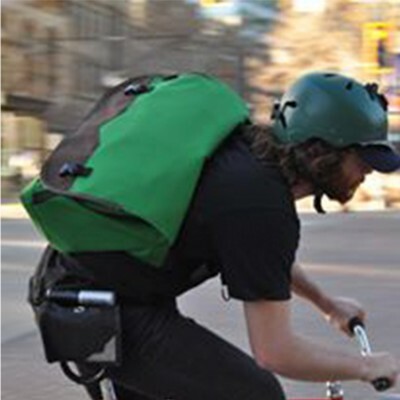 Velo City Bags is a custom messenger, laptop and backpack shop in Salt lake City. The shop handcrafts unique bags from durable materials, created to both withstand the harsh Utah weather while still being stylish and functional. Originally founded online, the shop is currently located on Pierpont Avenue right near the SLUG headquarters after spending four years on the east side of Salt Lake. Listen as SLUG writer LeAundra Jeffs sits down with co-founder Nathan Larsen to talk about the business and what they’ll be bringing to the 2015 Craft Lake City DIY Festival.